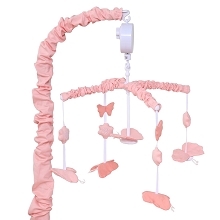 The Wildflower 3-Piece Crib Set surrounds baby with the idylls of nature, where wishes are made and dreams come true. 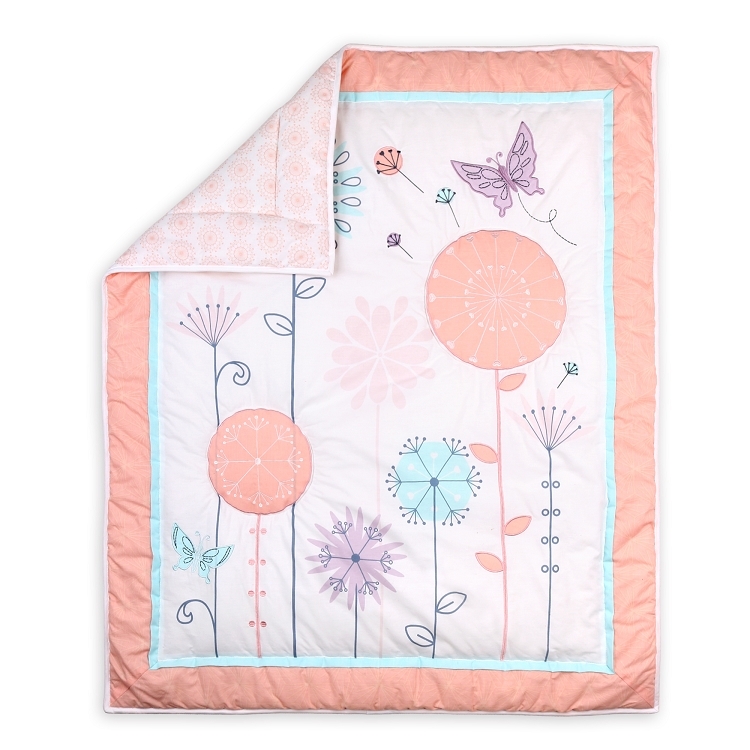 The quilt has larger-than-life blooms and gentle butterflies printed on a soft white ground, with applique and embroidery for surface interest. 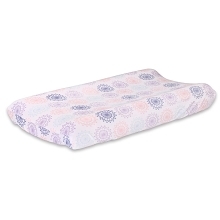 Shades of light coral, lilac and aqua coordinate with a printed light coral border. 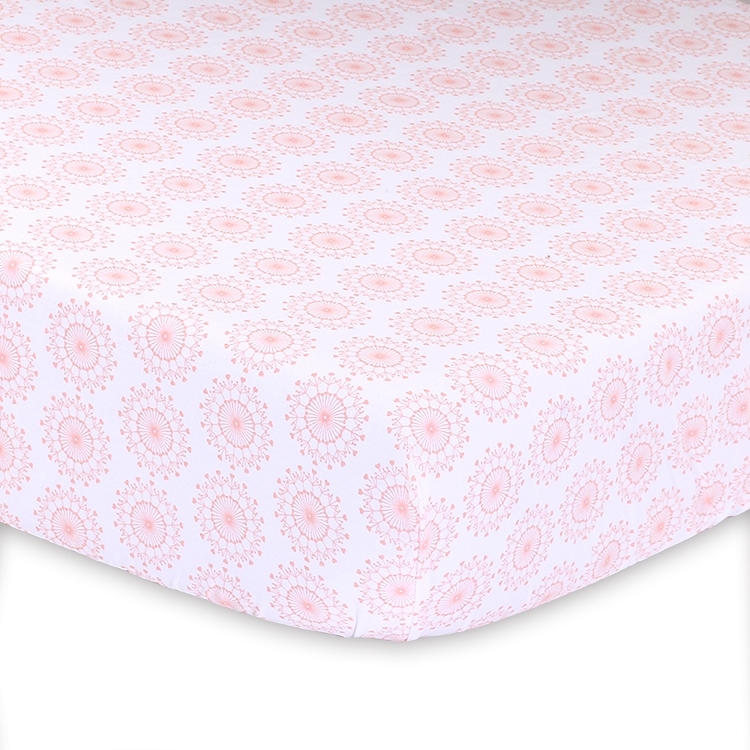 The fitted sheet is light coral medallions on a white background, in 100% cotton to be soft against baby's skin. 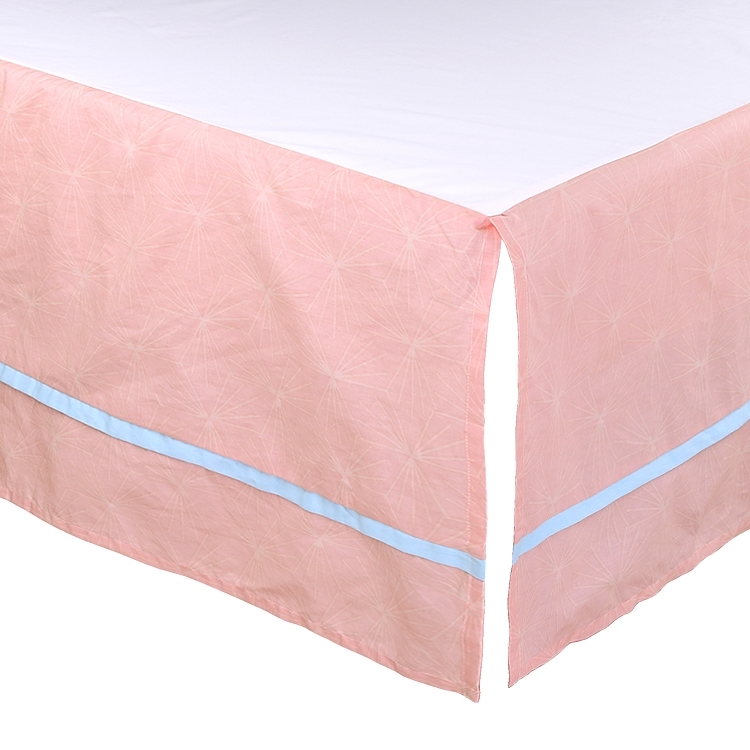 The dust ruffle harkens back to the quilt with the light coral print and a sweet aqua accent.